Thank you to all those who originally donated on this page to support Peggy and Gordon with the loss of their home due to fire. This page has now been updated to a memorial fund page. On April 14th we lost a husband, a father (of various manifestations grand, great grand, foster, and father to some who are fatherless), our friend, our mentor and our patriarch. He made a powerful impact on all who knew him and if you knew him you know of his love and his affection fuelled by his faith in Jesus Christ. This was a senseless event, though the only thing that makes sense is to honor Gord by loving others just as his Jesus did. We regard his attacker and his family with love, not hostility as Jesus loved those who nailed him to the cross. We are sad beyond description and we crave your prayers but we know God is good and we put our trust in him just like our father Gordon did. Many knew him as Poppa and many went to bed dreaming of him last night. Thank you for your care in this time of loss. Peggy is heartbroken but strong like a tower. All funds raised here will go directly to Peggy. Peggy is still living in very temporary housing. At this point funds have only been used to manage the day-to-day costs including clothing, replacing things like dishes, etc. Peggy now faces the task of finding a more permanent home including furnishing it, now without Gordon. Funds will still be used for home furnishings and managing the expenses of maintaining a temporary household and building a permanent household. A time of remembering Papa will be held on Saturday, April 27, 2019, 4:00 p.m. , SASCU Recreation Centre Auditorium, Salmon Arm, BC. Our gracious, most precious, most wonderful Father, received Papa home April 14th in Salmon Arm, British Columbia, as he met with his brothers and sisters in Christ. Papa now joins his sweet sister Milly Kenyon, his precious daughter Judith Nichols, his parents Raymond and Grace and a host of saints. Gordon Ray Parmenter was born in Torrance California, to Raymond and Grace Parmenter. He lived in many places over the years, including Prescott Arizona where he was raised, and Helena Montana where he and his dad ran their own logging operation before joining the Navy in 1959. After leaving the Navy Gordon wore many hats including salesman, book keeper, and manager for Coca Cola. Gordon was also a volunteer firefighter, truck driver, logger, pilot, scuba diver, wood worker, hunter, rock hound, hog farmer, chicken farmer and cabinet maker. Gordon is probably best known for his many years of parenting foster children starting in 1979 and continuing to the end in 2019 – 40 years! In 1965 Gordon married the love of his life, Peggy Ann Tinnin. 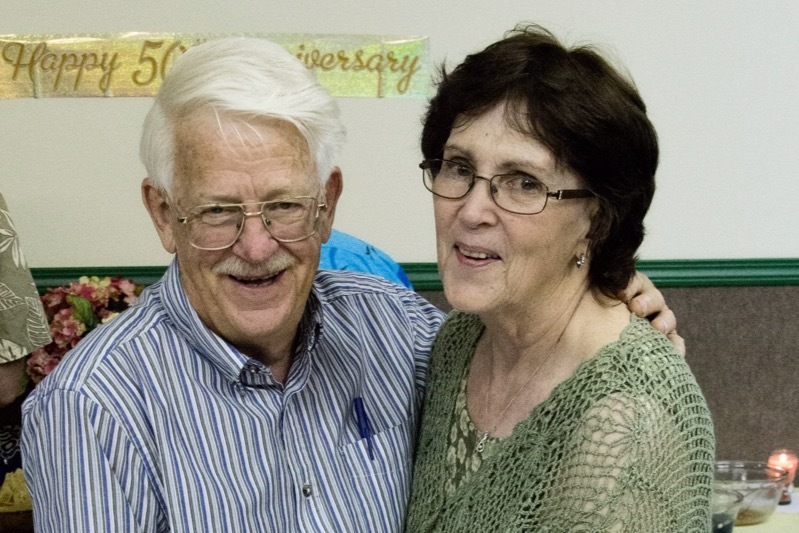 Their marriage of 53 years produced four children; Judith Rae (Rick), David Royal (Michelle), Suzan Lynne (Dane), and Anthony Raymond (Melissa). Papa is survived by his wife, three children, nineteen grandchildren, eight great-grandchildren and many foster children. The Parmenter family would like to thank the body of Christ from all over the world who have reached out, prayed for the family and the community and provided love and encouragement in many ways. We are humbled by the generosity of all those who donated meals, finances, and time. We thank our local community for their love and support, and honor for Papa. Thank you to our emergency services: RCMP, Fire Department, Paramedics, Police Based Victims Services and the many other support services for the hard work, concern, and support for our family and the Church of Christ on April 14. We lost a husband, a father (of various manifestations grand, great grand, foster, and father to some who are fatherless), our friend, our mentor and our patriarch. He made a powerful impact on all who knew him and if you knew him you know of his love and his affection fuelled by his faith in Jesus Christ. It has been 4 days since the house burned and for Gordon and Peggy it has been a flurry of activity every day. Both Gord and Peggy have been overwhelmed by the generosity of people in their lives. They feel very blessed in the midst of tragedy. Where things currently stand: there is an ongoing police investigation and investigation by the insurance company. 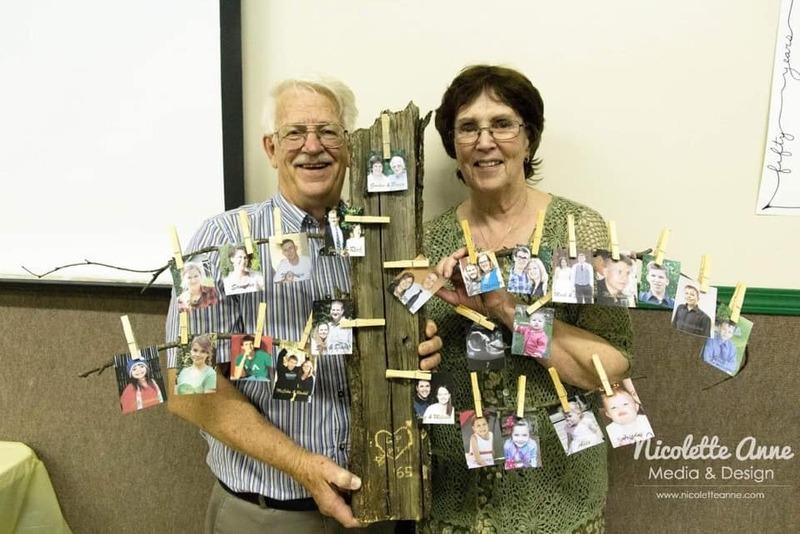 Any day a restoration company will be directed to work with Gord and Peggy to see what can be saved in the interior though they have lost their precious family pictures in the hottest part of the fire. Gord was able to salvage his hearing aides and Peggy was able to salvage her tablet, keeping both of them a little more in touch with the outside world. We estimate that 40% of their home burned and the rest was significantly affected by smoke, though we shall see how much can be saved. At this point, people may know that all the tires on both vehicles were slashed. Gord now has his truck back on the road while their other vehicle is still awaiting tires. With all the offers of accommodation and considering their living situation (motel covered short-term by insurance), there are imminent decisions to be made about where to lay their head next. They are praying people and they appreciate the prayers of others on their behalf. They are both still quick to smile and joke and encourage others. They have not lost who they are and what they are about in this world despite this event. Thank you for your generosity and your support during this difficult time!! It means the world to them.